Spending time outdoors is one of the best ways to connect with kids five and under. On weekend outings with our toddler son, my wife and I often go at a snail’s pace, exploring the forest and collecting acorns and leaves. It’s a chance for us to come together as a family, and the perfect breather after a busy work week. The many benefits of spending time outside include better health, lower stress, and even higher quality sleep. Getting kids started early can make it a lifelong habit. And while heading outdoors with little ones might seem challenging at first, choosing places and activities that young kids will enjoy makes it much easier. Just remember to keep things slow, short, and simple for everyone to have a good time. To get started, here are five great places in Virginia where you can introduce your preschooler to the great outdoors. What’s better than a day at the beach? At the mouth of the Chesapeake Bay, First Landing offers a wide beach with often-calm, shallow water. It’s a great spot for kids to splash and play without the worry of the rougher surf at the nearby Virginia Beach oceanfront. But you don’t have to stick to the sand. At the Bald Cypress Trail, take a stroll on boardwalks through primordial swamps dripping with Spanish moss. There is a very nice trail guide with info on plants, animals, and history linked to numbered points along the trail. Keep your eyes open for turtles, frogs, and wading birds. First Landing often has kid-friendly ranger programs – from “swamp stomps” to “treasures in the sand,” these activities are a fun way to learn about the park. One of the oldest continuously worked farms in the country, Chippokes Plantation is now an excellent state park just across the river from Jamestown in Surry County. We recently discovered what a great spot it is for families when we took our son to Chippokes for a family camping trip. Start out at College Run Trail, a paved path that runs along riverside bluffs and through wetlands until it reaches the historic farm. When you get to the plantation, stop to see cute potbellied pigs, donkeys, chickens, and other farm animals. Or you can explore the gardens behind the park’s antebellum mansion. For kids, the biggest hit at Chippokes just might be hunting for fossilized shark teeth and scallop shells on the small beach along the James River. At the end of your visit, take a break at one of the picnic tables near the visitor center for an amazing waterfront view with a nearby playground. The welcoming, green forests of Pocahontas offer a perfect family-friendly day. Lying less than a half hour south of our home in Richmond, it’s our go-to spot to get a nature fix with our little guy. When he was a baby we hiked the trails with him in a backpack and picnicked under oak trees. We’ve taken him on his first canoe trips on the lake, and explored streambanks where dozens of tiny toads hopped among leaf litter. Start your visit at the nature center, where kids can check out live reptiles and learn about the park’s natural history from friendly rangers. Nearby Beaver Lake is a great spot for a hike, or just to visit the dock and peer among the lily pads. 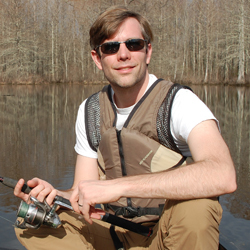 The larger Swift Creek Lake offers canoe and paddle boat rentals and plenty of great picnic spots. On a hot summer day you can escape to the park’s aquatic recreation center, which has a range of pools from toddler to adult, water slides, and squirting fountains. 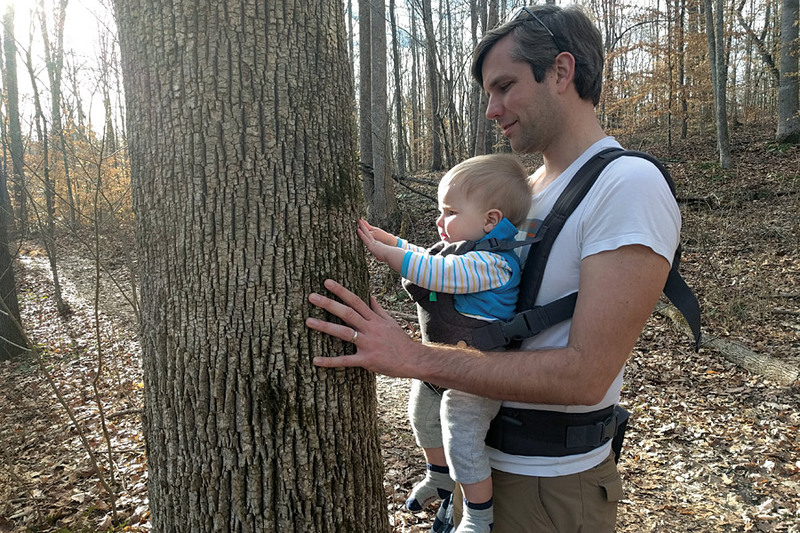 In Northern Virginia, the babbling streams and quiet groves of Prince William Forest Park have long been a favorite of ours – and a good spot for fun with kids. The flat terrain offers some nice family-friendly hikes. Near the visitor center, take the Piedmont Forest Trail, which is a short but fun interpretive trail through the trees and over footbridges. This path is made out of recycled tires, making it especially soft and toddler-friendly. For a slightly longer hike, the Laurel Loop Trail takes you down to the South Fork of Quantico Creek, where you can cross a hiker bridge and watch the waters rush by a few feet below. A post-hike snack under the trees at Pine Grove has the added bonus of a very nice playground. The rolling Blue Ridge Mountains are one of the most beautiful places in the East, and Shenandoah National Park is a great spot to discover the area with kids in tow. A visit can be as simple as cruising down Skyline Drive, where nearly every few miles there’s a scenic overlook with views to the valley below. The Big Meadows area is a great place to explore with your preschooler. Here the forest and hills open up to a large grassland. Keep your eyes peeled for wildlife – deer are especially abundant here. After taking in the exhibits at the visitor center, the nearby Story of the Forest Trail offers a very easy family walk through the woods. Those up for something steeper and rockier can continue to Dark Hollow Falls Trail, which follows a clear mountain stream down the mountain to a waterfall. There are many pristine rocky pools that kids will love to check out. Just be sure to save energy for the hike back up! Chippokes Plantation State Park is one of the oldest working farms in the United States. Chippokes is a living historical exhibit located in a rural agricultural area along the James River, directly opposite Jamestown Island and has a wide variety of traditional park offerings. First Landing State Park is located near the mouth of the Chesapeake Bay close to the spot where Captain John Smith landed in 1607. First Landing is Virginia's most popular state park with over a million visitors each year. Deep in the heart of a thick forest in Chesterfield County, Pocahontas State Park is only about 20 miles from downtown Richmond, Virginia's capital. 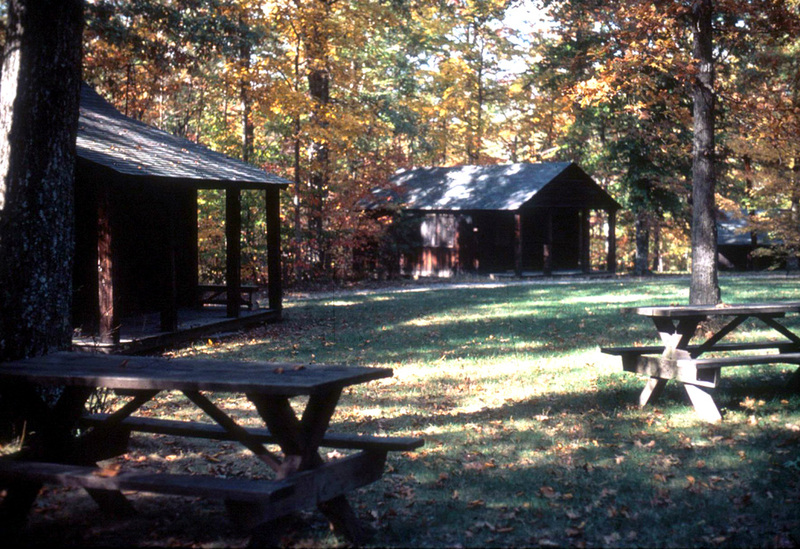 Pocahontas State Park offers a variety of outdoor activities. With cross-country skiing in winter, striking fall foliage in autumn, and great spring and summer recreation spots, Prince William Forest Park is a four-season destination welcoming generations of campers, hikers, bikers and nature lovers. Shenandoah National Park is your escape to recreation and re-creation. Cascading waterfalls, spectacular vistas, quiet wooded hollows—plan a hike, a meander along Skyline Drive, or a picnic with the family.